In large bowl, beat Dressing ingredients with whisk. 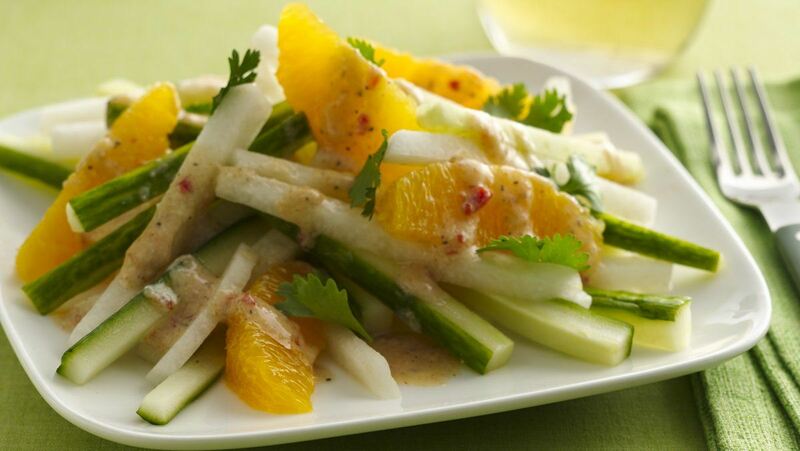 Add jicama, cucumber and oranges; toss to coat. Let stand at room temperature about 30 minutes to blend flavours. Purchasing Tip: Chili garlic paste is made from red chiles, fermented beans and garlic. It's available in most supermarkets in the Asian ingredients section.